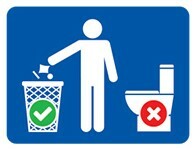 The Council of the District of Columbia is considering legislation, the Nonwoven Disposable Products Act of 2016, that would require wipes labeled “flushable” to meet flushability requirements and non-flushable wipes to be clearly labeled as “Do not flush.” The Council’s Committee on Transportation & the Environment, chaired by Councilmember Mary Cheh, held a hearing about the legislation on October 24. Testimony was provided by Cynthia Finley, NACWA’s Director of Regulatory Affairs, NACWA Board Member George Hawkins, CEO and General Manager of DC Water, and Dave Rousse, Executive Director of INDA (the trade association of the nonwoven fabrics agency). The Association also submitted a written copy of its testimony. During the hearing, Councilmember Cheh questioned whether the legislation should specify flushability standards and exactly how wipes packages should be labeled “Do not flush,” or whether this should be left to regulation. While INDA argued that flushable wipes cause minimal, if any, problems for sewer systems, NACWA showed results of tests performed by Member Agency the City of Vancouver where flushable wipes traveled for 30 minutes during a sewer line and were retrieved fully intact. INDA also argued that many manufacturers already use a “Do not flush” logo on non-flushable wipes, but NACWA pointed out that these logos are small and usually on the back of the package where consumers will not see them. The full hearing is available online, with testimony on the wipes bill beginning at 24:00. Forty clean water regulators, utilities and their representatives from Oklahoma, Texas and New Mexico gathered in Dallas on October 27 for a workshop to explore how EPA’s Integrated Planning (IP) Framework can be best utilized in EPA Region 6. The workshop was co-hosted by NACWA, the Water Environment Federation (WEF), the Water Environmental Association of Texas (WEAT), and the Texas Association of Clean Water Agencies (TACWA). Municipal clean water utilities heard from the Texas Commission on Environmental Quality, Oklahoma Department of Environmental Quality, EPA Region 6, and EPA Headquarters Water Permits Division – as well as key experts – who discussed the history and recent developments in IP in both the permitting and consent decree contexts. While there has been very little IP to date in Region 6, many of the attendees expressed interest in using the Framework conceptually and identified some regionally specific issues, like improved management by satellite systems, which could be addressed with IP. Over the last three years, NACWA has hosted IP Workshops for municipalities in Regions 1, 2, 3, 5, 6, 7, and 8. During the Workshop, EPA announced a new set of stormwater planning tools that are intended to be a complement to the IP Framework to encourage more use of IP in the stormwater context. The step-by-step guide is intended to help communities develop long-term stormwater plans. Approximately $750,000 in technical assistance was awarded to five communities in five states/regions (Iowa, Pennsylvania, Mississippi, New Hampshire, and New Mexico) to develop plans as national models. Those communities will also have access to, and beta test, a new web-based toolkit for the planning process. The web-based toolkit is anticipated to be available to the public in one to two years when the pilot program is completed. The financial assistance provided by EPA as part of this effort is more than double the amount of technical assistance EPA was able to award in 2014 to five communities to work on components of an IP. NACWA is also working to secure more federal financial assistance for integrated planning efforts in the Fiscal Year 2017 budget (see related story). NACWA helped spearhead a coalition of water and wastewater organizations, along with groups representing municipal and county elected officials, on a joint letter last week to House and Senate appropriators. The letter urges them to provide robust appropriations for a number of key federal investment programs for water and wastewater infrastructure in a final Fiscal Year (FY) 2017 budget agreement. The coalition asked lawmakers to provide significant funding for the Drinking Water and Clean Water State Revolving Fund programs and the Water Infrastructure Financing & Innovation Act (WIFIA) program, both of which are administered by EPA, and for the Bureau of Reclamation’s Title XVI grant program for water recycling projects. The coalition also urged Congress to provide $6.5 million to help communities develop Integrated Plans under EPA’s Integrated Planning initiative. Congress is expected to complete work on FY17 spending package when it returns to Washington in November and before the current Continuing Resolution funding the Federal Government expires on December 9. NACWA will be tracking negotiations over the FY17 spending package closely and reporting developments as they occur. A coalition of water, infrastructure, and local government organizations forwarded a letter last week to Capitol Hill urging Congress to move forward on Water Resources Development Act (WRDA) reconciliation. The NACWA-organized letter encourages the House to include the Senate WRDA’s Title VII provisions in any final legislation. 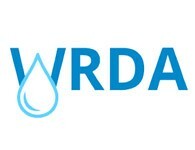 Title VII, which address Clean Water Act and Safe Drinking Water Act issues, was included in the Senate’s more comprehensive WRDA bill but not the slimmer House version – making it a key sticking point to be reconciled in final negotiations. Congressional staff recently began work to address differences between the two bills with an eye toward potential agreement on a final WRDA package during the lame duck session. More than 30 members of NACWA’s Water Quality Committee met via conference call on October 26 to discuss two of the top water quality issues facing the clean water community – work to develop a water quality criterion for viruses and the ongoing nutrient challenge. Melanie Mann and Thomas Worley-Morse from Hazen & Sawyer – the principal investigators for the Water Environment & Reuse Foundation’s research effort on coliphage – provided an update of the different phases of the work they are doing and how they hope it will help prepare the clean water community and inform EPA’s efforts to develop water quality criteria for viruses based on coliphage. Kati Bell with MWH Global (now part of Stantec) provided insights on work comparing inactivation of coliphage with existing indicators and norovirus using an array of disinfection methods. The results of that work will prove extremely helpful to the ongoing discussion over coliphage. Despite EPA's work to draft criteria, the group considered a potential alternative to national criteria for coliphage that Committee leadership will discuss with EPA soon. On the nutrient front, the Committee discussed the recent flurry of activity from EPA, including work on a study of nutrient removal performance of secondary treatment and a new memo from the Agency recommitting to continued action on nutrients. The Committee discussed the Association’s position on the EPA study and provided input that will be considered when the Board of Directors meets November 16, during the Association’s Fall Strategic Leadership Retreat. EPA released its final EJ 2020 Action Agenda last week, along with a report from its Local Government Advisory Council (LGAC) on drinking water issues. The EJ 2020 Action Agenda outlines how the Agency intends to address environmental justice (EJ) concerns and incorporate them into its work over the next four years. The document explains EPA’s plans to incorporate EJ issues into its rulemaking, permitting, and enforcement actions, emphasizing a desire to work collaboratively with state and local governments in addressing these concerns in a way that makes the most sense for local communities. The Agenda notes the importance considering impacts on economically distressed populations as part of the overall EJ analysis. A blog post from EPA Administrator Gina McCarthy accompanying the Agenda specifically mentioned infrastructure issues in the context of EPA’s ongoing EJ work. NACWA has been actively engaged with EPA to provide the municipal clean water utility perspective to the discussion, emphasizing in particular the need to include affordability concerns as part of EJ considerations. The Association submitted comments on the proposed Agenda last year, and was pleased to see that some of its recommendations – especially around better coordination with local governments and the importance of utility peer-to-peer networks – were incorporated in the final document. NACWA will continue to engage with EPA on EJ issues moving forward. In a related development last week, EPA also released a report on Clean and Safe Drinking Water from the LGAC, outlining recommendations and input on the National Drinking Water Action Plan, currently under development by the Office of Water. The LGAC also forwarded a letter to Administrator Gina McCarthy along with the report. Earlier this year, a Steering Group of utility representatives delivered its final report from a year-long process to review and revise the original Ten Attributes of Effective Utility Management, and the Five Keys to Management Success established in 2007 by the major water sector organizations and EPA. The Steering Group met again October 24-25 in Washington, DC to discuss updates to the EUM Primer, a document intended to introduce utilities to EUM and guide them through a self-assessment process. The review of the attributes was initiated in response to several major contextual shifts in the water sector since 2007, including a growing focus on the Water Resources Utility of the Future. The Steering Group recommended a number of updates to the attributes and keys, while leaving the overall structure of the original effort in place. Based on those updates, the Steering Group felt it was important to also update the Primer, both to reflect the changes to the attributes and keys, but also to look for ways to improve the document and make it easier for small utilities to use. NACWA was represented by Board Members Tom Sigmund, Executive Director of NEW Water in Wisconsin and Diane Taniguchi-Dennis, Deputy General Manager of Clean Water Services in Oregon during the October 24-25 meeting. EPA’s contractor will now take the input from the Steering Group and produce a revised version of the Primer in the next few months. NACWA Member Agency the Hampton Roads Sanitation District (HRSD) was recently featured in a front-page article in The Washington Post. The article described the District’s innovative new pilot project to inject highly treated, recycled wastewater directly into the Potomac groundwater aquifer to arrest future subsidence. Long believed to be an issue confined to the American West, land subsidence due to unsustainable groundwater pumping is beginning to show troubling signs on the East Coast. Add gradual sea level rise to the equation and you get a slowly unfolding situation that could impact communities across the Mid-Atlantic region. The HRSD project, known as the Sustainable Water Initiative for Tomorrow (SWIFT,) was featured prominently in the Post. 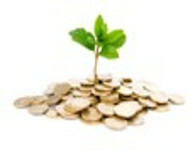 The story outlines the severity of the issue, as well as HRSD’s unique utility of the future (UOTF) approach. According to the article, the SWIFT project is set to “be the largest aquifer recharge program in the United States,” pumping over 100 million gallons per day into the aquifer. This article, as well as the SWIFT project itself, represents the growing public interest in water issues and the importance of innovative solutions to intricate problems. It also demonstrated the amazing innovation that utilities like HRSD are pursuing to address new challenges. NACWA was on the road again last week, bringing an important clean water message to utilities in the Southwest and in New England. At the meeting of the Western Coalition of Arid States (WESTCAS) in Phoenix, NACWA CEO Adam Krantz discussed the importance of the Association working closely on advocacy initiatives with utilities in Western and arid states. Representatives from WESTCAS expressed a desire to partner more closely with NACWA and the two organizations will be exploring closer collaboration moving forward. Cynthia Finley, NACWA's Director of Regulatory Affairs, gave two presentations at the New England Pretreatment Coordinators Workshop in Chelmsford, MA. The first focused on NACWA's comments on EPA’s Preliminary 2016 Effluent Guidelines Plan and other input that the Association has provided over the last year to EPA on metal finishing, centralized waste treatment, and other categories. The second presentation provided an overview of EPA’s draft updated Industrial Users Inspection & Sampling Manual for POTWs and the comments that NACWA members provided on the draft.